If you look at reviews for the best beginner sewing machines this one pops up every time. For under $200 you can purchase a reliable machine that offers the new sewist every possible feature she could need to get started sewing. Lightweight (this could be a Strength, too). This means that it might have difficulty handling heavy fabrics or large quilting projects. Narrow Harp or Throat Space. This can make larger projects difficult to maneuver. Poor lighting in the sewing area. Foot pedal can be too sensitive causing quick starts and stops. I believe that this machine is a real winner for someone starting out sewing. For under $200 it is easy to use and comes with a well-written manual. 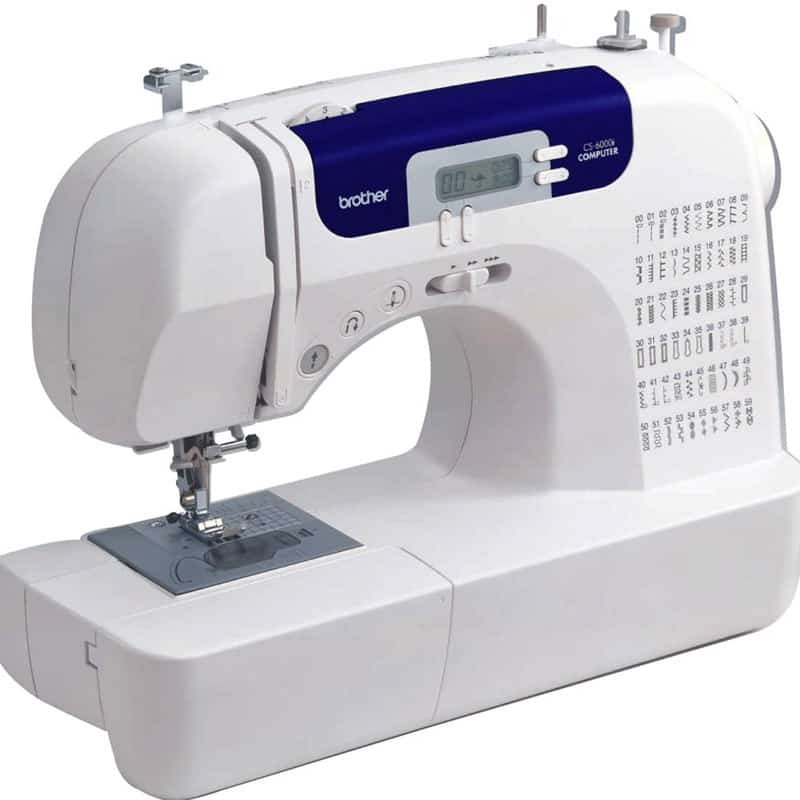 Features like the automatic needle threader and the convenience of computerized sewing make it an excellent choice. I also applaud Brother for including a Walking Foot and a Quilting Foot for new quilters. Because I have owned three Babylock machines (made by the Brother company), I have great confidence in their products to deliver on their promise and also be fairly trouble-free. If I was looking for an entry-level machine, this is the one I would purchase.